St. John – Community correctional centres (CCCs) across Canada have been a victim of federal funding cuts, leaving the facilities with fewer parole officers and issues of public and staff safety, says a union representative. The Parrtown Community Correctional Centre in Saint John — the only federal community correctional centre in New Brunswick — saw the removal of a community correctional liaison officer as a result of the federal government’s Deficit Reduction Action Plan (DRAP) of 2014. Parrtown is operated by Correctional Service Canada (CSC), the federal agency responsible for the incarceration and rehabilitation of convicted criminal offenders sentenced to two years or more. Six inmates have walked away from the facility since the beginning of the year and one remains unlawfully at large, according to the Saint John Police Force. In addition to the removal of the community correctional liaison officer, a parole officer position was also cut at Parrtown, according to Union of Safety and Justice Employees (USJE) regional vice-president Carol Osborne. Parrtown houses up to 26 federal offenders on conditional release in the community. There used to be three parole officers at the facility, but now there are only two, according to Osborne. The ratio of parole officers to federal offenders that they can supervise at Parrtown has consequently changed from 1:8 to 1:13, meaning that parole officers have seen an increased workload by 45 per cent, Osborne said. According to their collective agreement, parole officers work at CCCs for seven and a half hours a day, but Osborne said that many are working “above and beyond that” and they’re not being compensated for additional hours. She added that people are going off on extended sick leaves, which is an issue across Canada. As well, Osborne has received grievances and complaints from parole officers about staff safety, especially as they go out and into the homes of the offenders and to their work sites. MP Wayne Long has also expressed concerns to the newspaper with the level of security at Parrtown. The Telegraph-Journal requested an interview with Correctional Service Canada to respond to the allegations. Information was not provided by the department prior to publication. A working group, comprised of representatives from the USJE and CSC, completed a draft report called the Community Correctional Centre Workload Review in May 2018. In it, the USJE made a recommendation to return to the 1:8 ratio. They are also pushing for the community correctional liaison officer at Parrtown to be reinstated. 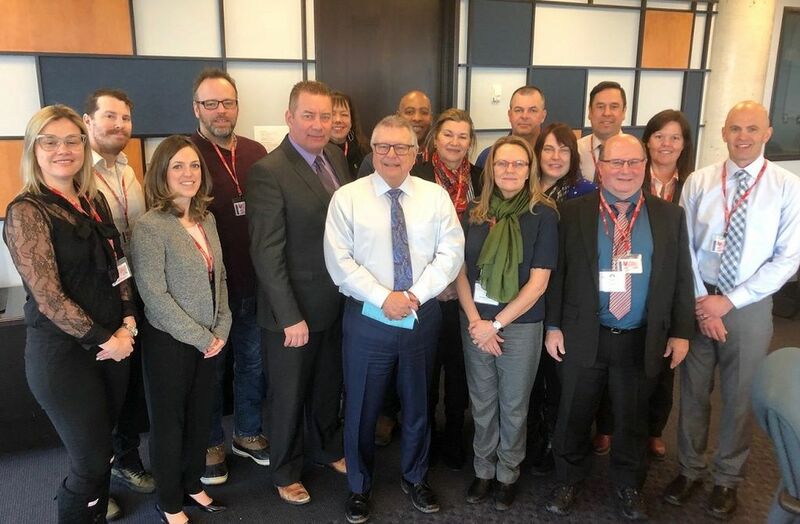 USJE representatives and its parole officers also met with Public Safety Minister Ralph Goodale at a roundtable in Ottawa on Jan. 31 to share their experiences on the front lines. In an email statement to the Telegraph-Journal, Scott Bardsley, manager of media and communications at the Office of the Minister of Public Safety and Emergency Preparedness, said that community and institutional parole officers raised a number of issues, including staffing levels and the impacts of the previous Conservative government’s DRAP, in their meeting with Minister Goodale. $448 million to implement Bill C-83 to eliminate administrative segregation. • $65.2 million over five years in Budget 2017 to help previously incarcerated Indigenous peoples rehabilitate. $57.8 million over five years in Budget 2017 to expand mental health care capacity for federal inmates. A further $20.4 million over five years in Budget 2018 to enhance mental health care capacity for federal inmates. $4.3 million over five years in Budget 2018 to reopen prison farms at Joyceville and Collins Bay. $95 million announced in Budget 2019.